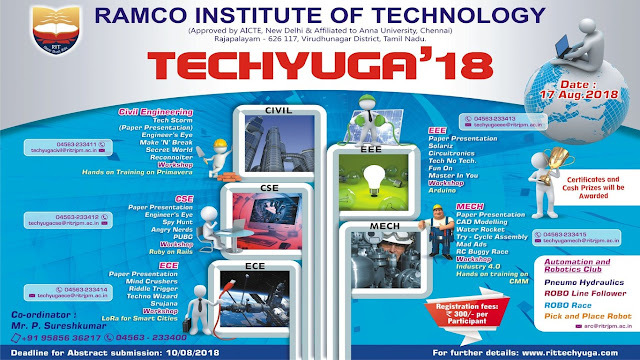 About Event: TECHYUGA'18 is the event comes with more knowledge stuff. You can able to attend Symposium, Workshop and Games. Note: If you attend the workshop you can't able to attend other events. Events: Event details vary based on department. Can you please check the poster for event details. Registration Fee: Rs.300 (Symposium), Rs.350 (Workshop) and Rs.50 for PUBG game event.